San Diego Comic Con is renowned for being a big event in the Whovian calendar, with promises of potential trailers and exclusive merchandise, and this year is no different. 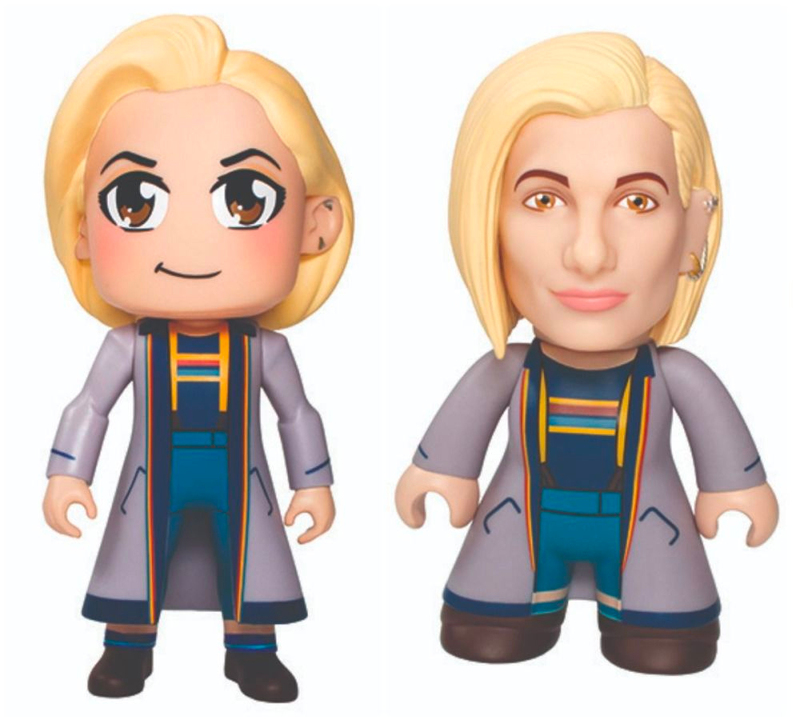 First up, Funko have announced two new figures that they will be showcasing on at the event: the Thirteenth Doctor ‘Pop!’ figure and the Thirteenth Doctor ‘Rock Candy’ figure. The Funko Pop! will be available to buy on the BBC America booth #4129 and the Funko booth #5341/5347 and will be available for general retail this autumn. Titans will also be selling a limited-edition 6.5″ 13th Doctor Titan and a limited edition 6.5″ 13th Doctor Kawaii Titan. The Titan figures will be available on the BBC booth #4129 and Titan Entertainment booth #5537. Any Titan figures not sold at SDCC will be available to buy after the event from Hot Topic and the BBC Shop in the US and from Forbidden Planet in the UK. Although it seems unlikely that this will happen, you can pre-order for these potential store purchases opens after San Diego Comic-Con closes on Monday 23rd July. Finally, Her Universe will be debuting their new Thirteenth Doctor rainbow striped top, long coat, and blue trousers, which will be available on the Her Universe booth #1321 and through general retail in Autumn at Hot Topic shops. 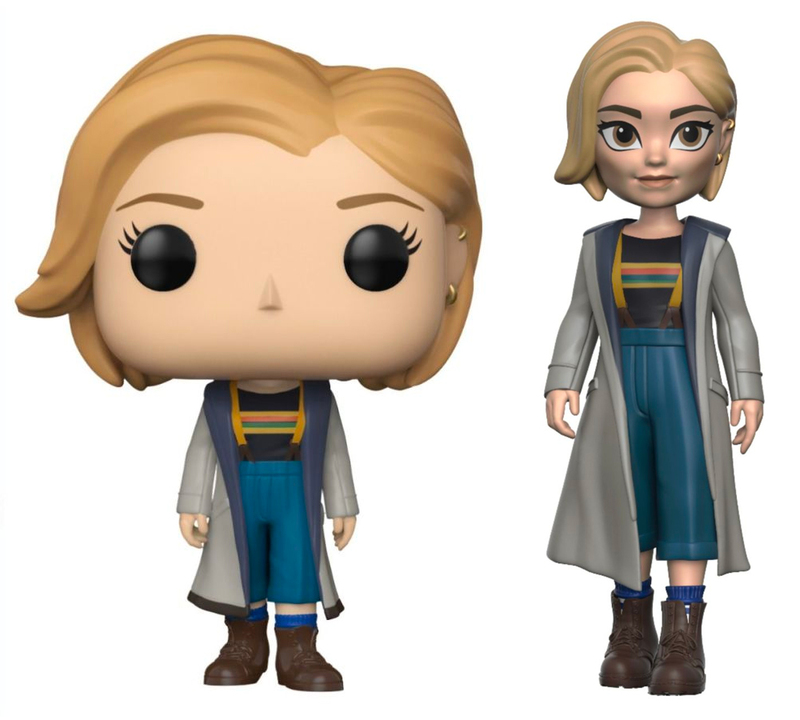 If you aren’t able to attend SDCC, don’t worry, because Character Options will also be releasing a 10″ Thirteenth Doctor action figure outside of the event. 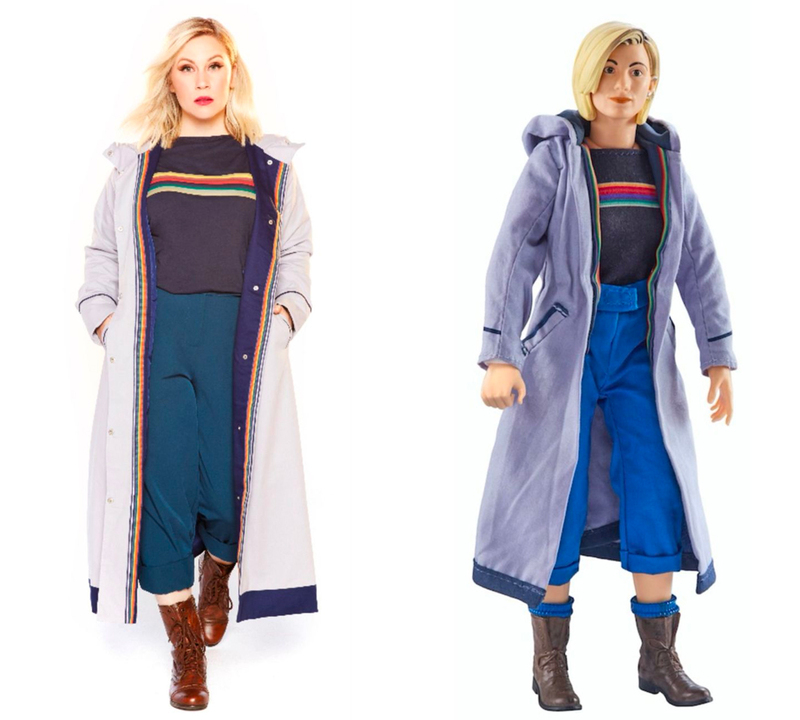 The figure, which comes with real fabric clothes and a new Sonic Screwdriver accessory, is available to pre-order today from the Character Options website here.